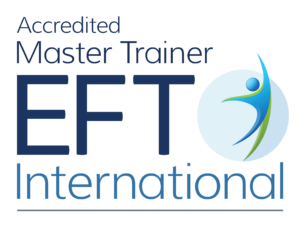 Having trained in EFT with Gwyneth, I cannot begin to express how grateful I am at being able to help my children cope with difficult teenage emotions and conflict. These are very worrying times for young people, with all the pressure of friends, school and social activities. Tonight I had a feeling of uneasiness, but did not know exactly what it was. I found out when I went and spoke to my daughter. She told me that she has got so many problems and just didn’t know what to do. I asked her to tell me, and at first she was very reluctant, but I knew she wanted to tell me. Once she had poured her heart out to me, (and I did not respond by getting emotional myself), I asked her if she would like to do some tapping with me. At first she said no, because it won’t change anything. I explained, that whilst it would not change the situation, it would just help to sooth the way she feels about things, and would help with the emotions. If we could do this, would she like to try? She agreed to try the tapping. I sat down on her bed, and said I just wanted to note some key words, which she said was okay. She was feeling upset about her friends, they all seem to be falling out with each other, and she is feeling left out, does not know who to trust because someone has been saying things, and she feels like everyone else has someone, but she doesn’t (even though in reality, she really does have a lot of friends). I did not try to change the way she felt, by talking about anything, but I just listened, and went along with her. We did several rounds of tapping using her words specifically. Her score started at a 10 and after a round of the full recipe we did the short version, reducing to 7, then 5 until we got to a 3. I was so pleased, because by this time I could see the difference in her face, and when I asked here what kept it at a 3, she couldn’t remember what things were, or why the were at a 3. I knew that this was good, because the emotional content had almost gone. Then I decided to look at possibilities with her. I asked her to tell me how she would like things to be. We spent some time discussing in great detail how things would look and feel if they were the opposite of what we had just tapped for. We then did 3 rounds, starting with the negative, until we finished with the positive, and then we ended with a positive affirmation for example, “everything I need is within me now”, (confidence, I am my own best friend etc). There was a big change in her demeanor, her facial expression softened, the colour came back to her face, and her eyes looked brighter. She said that she now felt 0-1 for the negative and 6 for the positive. Future pacing with her and she said that she did not feel the same way she had before about the butterflies in her tummy, and things seemed clearer now. It has now been 3 weeks since we did the tapping. I am amazed at the difference in my daughter. She has actually got some lovely new friends. She has moved on, does not seem bothered at all about the other problems with her friends. She is still friends with them, but has moved on emotionally and seems a lot more mature in her outlook in just 3 weeks. I was so relieved I cannot tell you just how pleased I am. I only wish that other parents could have the benefit of this technique so that they too can use it with their children.